We have a great promotion for our Italian poker players we are offering a no deposit required poker bonus where you will get a free €10 just for signing up to PartyPoker. This offer is for a limited time only, If you would like some no deposit poker money for free sign-up between the 15th - 19th April 2010. Plus a chance to win a football shirt signed by Francesco Totti in the daily Totti €500 Freerolls in April. Don't miss out on this free poker bankroll deal only available for this four day promotion in April for Italian poker players. 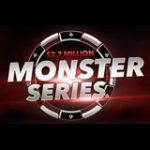 If you are new to PartyPoker here is an opportunity to download and play poker online with a free €10 instant no deposit poker bonus. 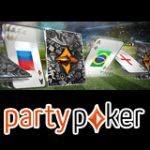 PartyPoker offer legal online poker to Italian players since the Italian government started to regulate and tax online poker in 2007. 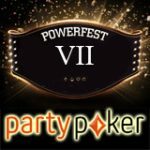 PartyPoker.it signed a deal with Intralot in April 2009 which will legally provide online poker to Italy for the next five years. 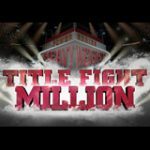 The PartyPoker.it Poker ambassador is Francesco Totti, Italian soccer player who is now the captain of Serie A club Roma. 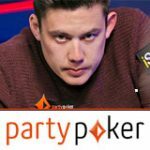 He uses his nickname Er Pupone, which translates to Big Baby, as his PartyPoker alias and can be found playing poker online about 3 times a week. PartyPoker signed Francesco Totti in February 2010 he is the biggest sports celebrity representing Party Poker. Apparently Francesco Totti is also a good poker player and often plays with his fellow club Roma team mates Philippe Mexès, Jérémy Menez and Marco Cassetti. 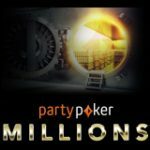 You can find these freerolls by clicking on the freerolls tab in the PartyPoker lobby look for Totti €500 Freeroll and register for the freeroll tournament. 100% deposit bonus up to 400 Euros. Make your first deposit at PartyPoker and get 100% bonus up to €400 make a deposit this April between 5th - 30th April 2010 and get access to even more. €5,000 First Depositors Freeroll for all new players who deposit every month.